Christmas white elephant gift-giving can be like walking through a minefield! This is your guide; just follow this path of Christmas gift ideas for men and you should make it to December 26 intact and add extra engagement in the white elephant gift exchange party. While there are men who do like knick-knacky stuff, decorative tchotchkes, and smelly lotions, we are going to go ahead and group all the guys together and assume they do not want to have a spa night at home or curl up with a good tear-jerker. While there are some picky, hard-to-please men on everyone’s list, something here is bound to appeal to them. You cannot go wrong. Christmas, birthdays, anniversaries…it’s all good. A basket full of cookies, brownies, and other goodies is a great gift, particularly for a friend, coworker, or new boyfriend. Whip up a few batches of classic favorites including chocolate chip, peanut butter, oatmeal raisin, and sugar cookies. Again, while many men do enjoy a good snowman cookie with a decorative top hat and candy bits for eyes, they will likely be just as happy with a circle, so you don’t have to stress about the details as much. What is your recipient’s beverage of choice? If he likes liquor, you can buy a bottle of single malt scotch. Glenfiddich, Glen Livet, and Jack Daniels are good choices in a variety of price ranges. If he’s more of a wine man, you can select a bottle each of red and white and arrange it with some snacks in a basket. For the beer man, select a variety of international or local brews. Select some artisan beers or visit a local microbrewery to find a seasonal blend. Again, you cannot go wrong with food! If the recipient you have in mind is not a big sweets fan, try a different approach. Fill a gift basket or container with meats, such as jerky, salami, or sausage, cheeses, crackers, nuts, pretzels, gourmet pita or bagel chips, and other salty, satisfying crunchies. They are great for snacking or for entertaining friends on game day. A good multi-tool is a must for any man on your list. One tool comes with a variety of handy gadgets. The Juice from Leatherman, for instance, has needle-nose pliers, straight knife, wire cutters, hard-wire cutters, extra-small, small, medium, and large screwdriver, Phillips head screwdriver, can/bottle opener, corkscrew, scissors, saw, and lanyard attachment. The benefit of multi-tools is that you can choose ones that fit your budget and the recipient’s needs. 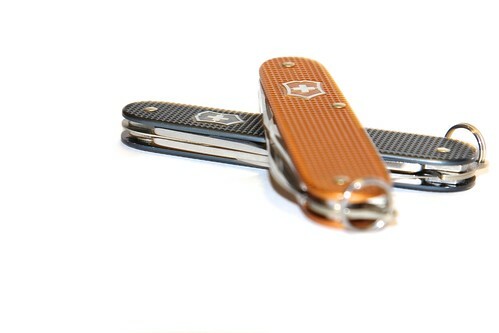 Swiss Army, Leatherman, and Gerber are all great brands and have models in different price ranges. You would not want to get a woman a gift card because she’ll feel it’s impersonal. But men are more apt to think, “Great! Instead of something crappy, I can get what I want! This is the best!” Just make sure the card is for a favorite store. If you are not sure, you can’t go wrong with Amazon, which has a bit of something for everyone. If you ask women what they want for Christmas, they will say, “Oh nothing!” If you ask men what they want for Christmas, they will tell you. Why not give him what he’s asking for? It won’t be a surprise per se, but it will be enjoyed and appreciated. You can always get him a surprise item for a stocking stuffer or smaller Christmas gift. If you must surprise him, try tickets to a sporting event, concert, or other event he likes. This is not only a terrific present, it’s a great way to spend time together. Or, give him tickets so he can take his best buddies for a night of fun. Either way, he’ll be thanking you for this incredible gift. With these gift ideas, everyone on your list will have a very merry Christmas this year. Image courtesy of elana’s pantry and Sn.Ho on Flickr’s Creative Commons. Pinkchic18 enjoys party planning, along with baking gourmet treats. She is also a regular contributor to the Holiday Gifts & Baskets Blog, which features numerous great ideas for inexpensive Christmas gifts.